Egyptian Liverpool star Mohamed Salah has been selected among the perfect formation of the 23rd round of the English Premier League following his outstanding performance during last Saturday’s match against Crystal Palace, where he scored two goals, ending the match 4-3 for Liverpool. The Reds continue a series of unprecedented victories, being unbeaten at home this season. King Mo was the top scorer in the English Premier League with 16 goals, two goals ahead of his closest rivals, Arsenal striker Pierre Emerick Aubameyang and Tottenham Hotspur striker Harry Kane. He ranked third in Europe’s top five premier leagues. Barcelona’s Lionel Messi was named top scorer in Europe’s “Big 5” with 18 goals. Paris Saint-Germain’s Ceylan Mbabi came second with 17 goals. Salah became the fourth fastest player in the history of the English Premier League after he scored 50 goals in 72 games, equal to Spain’s Fernando Torres, a former Liverpool and Chelsea star. 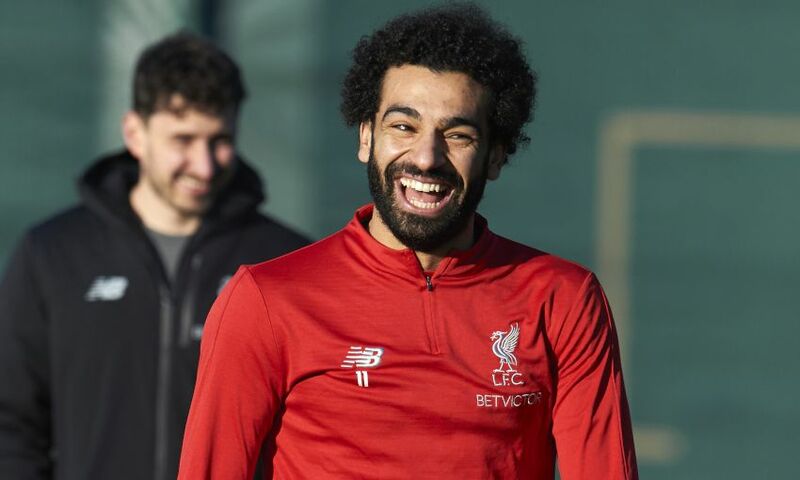 Salah came in fourth after the trio and Andy Cole (65 games), Alan Shearer (66 games), and Ruud van Nistelrooy (68 games). Salah has become the eighth African player to be ranked top scorer in a premier league, with Didier Drogba leading the list of the African players with the most goals scored in premier leagues, scoring 104 goals in 254 matches for Chelsea. Drogba is followed by Emmanuel Adebayor with 79 goals, Yakubu Ayegbeni with 95 goals, Nwankwo Kanu with 54 goals, and Alvan Ikoku with 53 goals. Senegalese defender Sadio Mane ranks seventh with 53 goals. He scored 32 goals for Liverpool and 21 for Southampton. In the same context, the WhoScored website chose Salah as Man of the Match in the Crystal Palace game at Anfield. He scored 8.7 points on a scale of 10. Liverpool leads the Premier League table with 60 points, four points ahead of Manchester City, which scored 56 points so far.